In our ‘Expert Talks’ series we interview leading industry experts in the fields of Video, Animation and Virtual Reality. The Dun Laoghaire Institute of Art Design and Techology (IADT) has just launched it’s annual graduate exhibition. 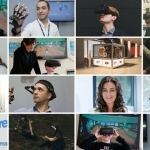 One of the tutors, Rob Griffin, who is programme chair of the MSc in Cyberpsychology, has a special interest in Virtual Reality and has been at the forefront of encouraging students to engage with the emerging technology on campus. 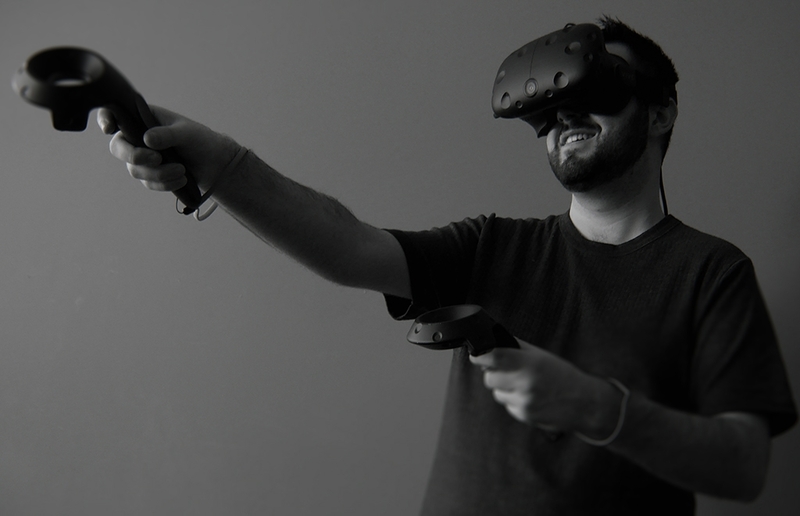 We caught up with Rob to find out a bit more about his IADT VR Lab and to tell us a bit about this years Virtual Reality talent working with Virtual Reality. “My area of interest is the space where people and technology come together”, Rob told us. 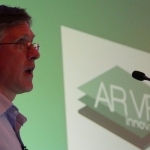 “VR is hugely exciting and I am championing Virtual Reality projects in the Institute as much as possible”. Rob is very interested in seeing how VR can be adapted across the spectrum of the more traditional subjects on campus. 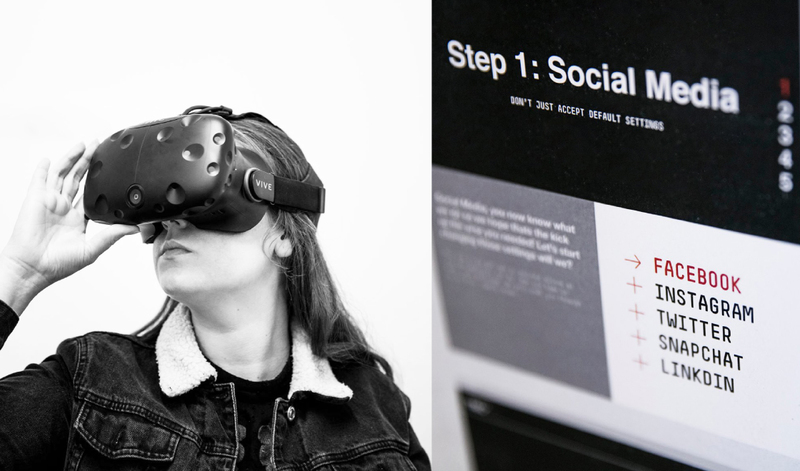 “We have filmmakers, model makers, computing students and psychologists all on campus, getting them to work together on VR projects and see what they make is my main aim at the moment”. IADT decided to make a dedicated VR lab around March 2017 and have kitted it out with four HTC Vive’s and an insta360 pro camera. We are in the process of ordering a motion capture suit as well. It is a project space, so there aren’t any VR modules as part of courses yet, however the students who want to do VR related projects can use it”. The project aims to create an application that allows a user to practice speeches in a realistic virtual environment. It includes a timer to allow users to track their speech length and ability to change speaking venues and different scenarios. Ruby’s project empowers users to take control of their online personal information. There are numerous problems with online users not knowing where their private information ends up or what it is used for. This is a growing concern for which it is essential to find a creative solution. T&C* will make the terms and conditions of online usage transparent and clear through a virtual environment demonstrating how someone’s personal data can be visualised. Arachnophobia VR aims to research the use of Virtual Reality and whether it is successful helping people overcome their fear of spiders. The application that was developed will test the user’s fear of spider’s with the aim of helping people overcome their fear. The virtual environment is a basement which the user can explore and pick up objects such as torches, shovels and hammers. 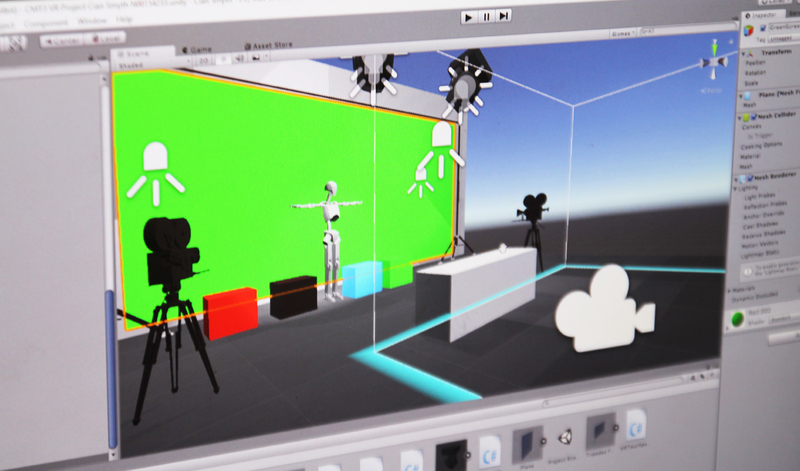 This project was created in Unity and allows the user to wear a headset and hold controllers in each hand to become immersed inside a 3D Virtual Reality film set. They have the opportunity to act as a director, visually see their new environment, interact with it by walking around, control the colour and intensity of the lights, position the actors and props, so as to better image how they might like the scene to appear before shooting takes place. The benefits of the software are that directors can set up camera shots during the pre-production stage and therefore develop a mutual understanding with the production team in terms of delivering needs. This project also provides an educational tool for students outside of the classroom. The aim of Susan’s project was to examine the effects of a Loving Kindness Meditation (LKM) on chronic pain. 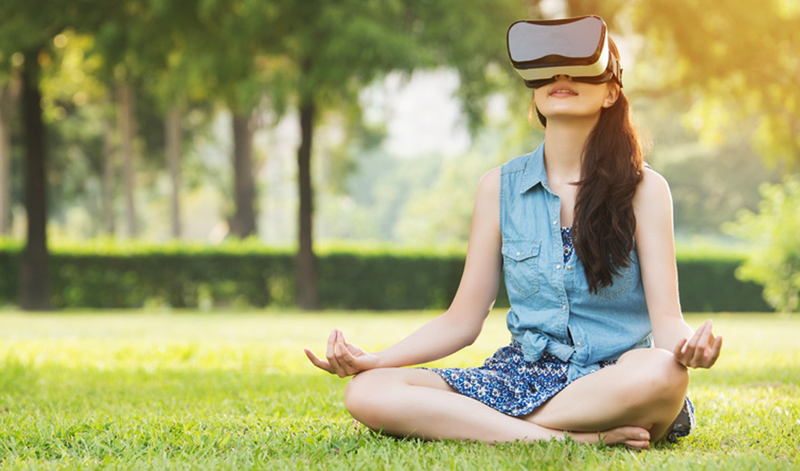 This study also investigated if a Virtual Reality (VR) meditation and an audio meditation could have different analgesic effects. As many students in this area of research have tested mindfulness for chronic pain treatment, the present study attempts to began to fill the gap in this research, by investigation LKM on chronic pain. No other study has used LKM to test its effect on chronic pain when conducted through VR. Official Opening – Thursday 31st May at 5pm. Friday 1st June, 12 noon – 4pm. Saturday 2nd June, 11am – 4pm. Sunday 3rd and Monday 4th June – Closed. Tuesday 5th June, 11am – 8pm. Wednesday 6th June, 11am – 4pm. The VR projects are in the Carriglea building on campus. To keep up to speed with Rob and the work of his students you can follow him on Twitter here.